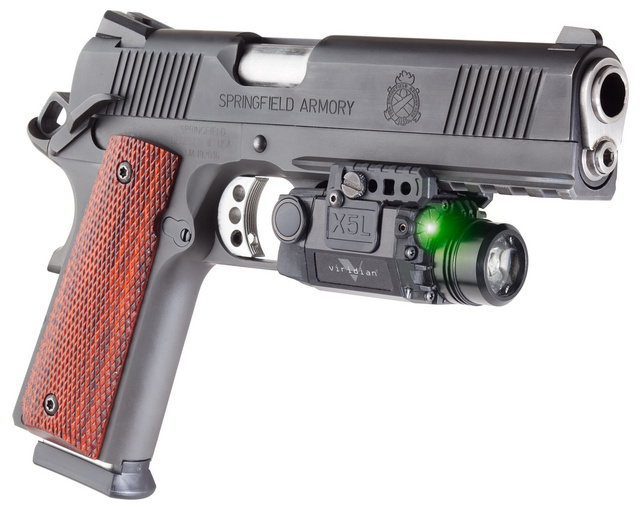 This entry was posted in light/laser, pistol and tagged 45ACP, green, M1911, Springfield, Viridian. Bookmark the permalink. neat. most TRPs i see don’t have a light rail. trijicon tritium sights yes. rail no. I have that exact pistol. It was my first .45 (I think I bought it in 03 or 04). I believe it’s the original Springfield “Operator”. It doesn’t have “TRP” on the slide. I think the newer “Operators” don’t have the full rail, but I could be wrong. Sorry for the delay in reading this so late. That is a discontinued model. For some reason, SA decided to discontinue the full rail. This particular model is a SA “Loaded” Operator. I appreciate you using mine as the host for your photography. Stellar work as always.